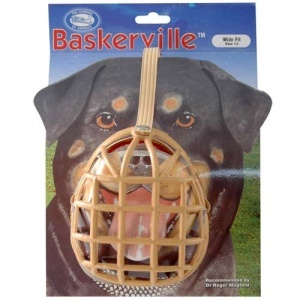 Muzzles are used for many different reasons and this classic Baskerville cage-design, basket dog muzzle is humane, lightweight, comfortable and safe for dogs to wear. 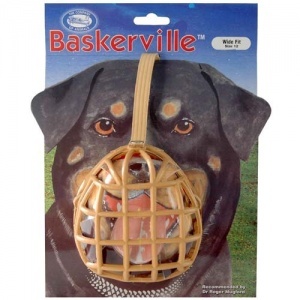 From preventing bites to stopping scavenging, they are such a useful piece of kit. 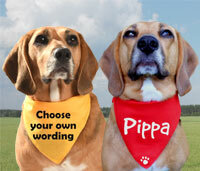 They can even be used to stop harmful or repetitive licking, worrying of wounds and similar behaviours. 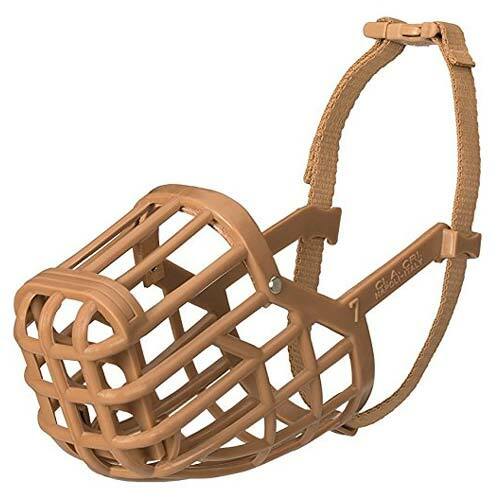 Muzzles are also a useful tool for handling and grooming, especially for anxious or assertive dogs who may resort to using their teeth. 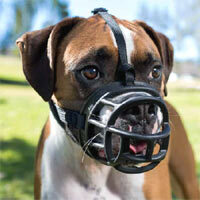 With a snap shut clasp at the back of the head, these best-selling muzzles are quick and easy to put on. 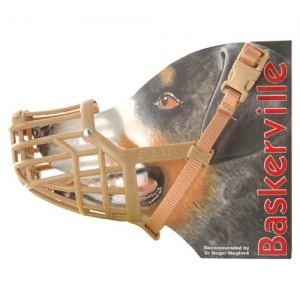 Made from a washable soft plastic, the roomy, lightweight basket design means your dog can still pant, bark and even have a drink whilst wearing it. 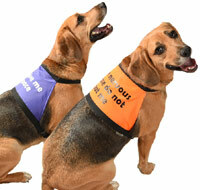 The slight padding on the top of the nose section adds to your dog's comfort. An additional safety guard in the nose of the standard fit muzzles gives extra prevention from scavenging and can be removed if preferred. 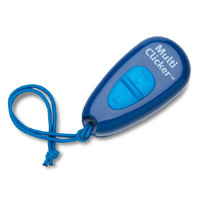 Please measure your dog's nose length and circumference (width). For the length, measure the distance from the end of the nose to the start of the nose, just below the eyes. For the circumference measure all around the nose at the widest part, usually just below the eyes. 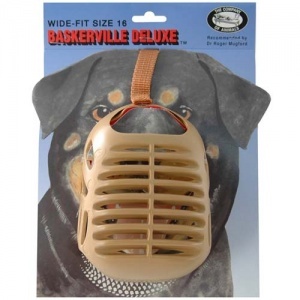 Available in a wide range of different sizes to ensure a good fit for your dog. 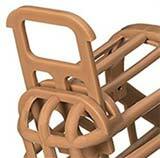 The basket design means that they are suitable for both standard and longer nosed breeds like Greyhounds and Bull Terriers. 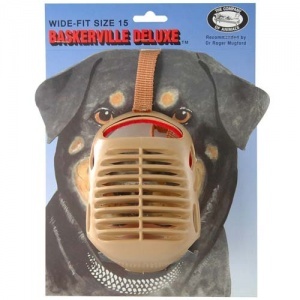 The larger sizes come in a wide fit and feature an additional head-strap, which is perfect for broader nosed dogs like Staffies and Rottweilers. 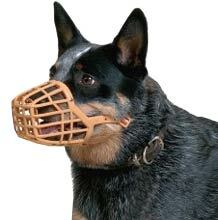 Only use when your dog is supervised. 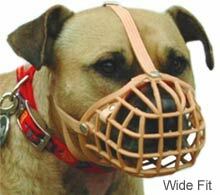 This is a replacement for the previous muzzle - our dog damages them by rubbing against trees etc. Previous one lasted a couple of years so hope this one will too. Fits well and doesn't look too unfriendly when walking her.